Home » News archive » WILD: Spanis…hter Records. WILD: Spanish Heavy Metal Band Sign with Fighter Records. Fighter Records is proud to announce the signing of one of Spain's finest Heavy Metal acts called WILD, for the international release of their 3rd album "Sin Piedad" (Without Mercy), originally self-financed earlier this year on a limited CD-R pressing. Formed back in 2002 under the name of MAJESTY NIGHT and releasing just an EP, they changed into WILD in 2004 releasing two EP's and two demos until in 2010 the 1st album "La Nueva Orden" (The New Order) was released. Another EP came out in 2013 and then a 2nd album "En Tierra Hostil" (In Hostile Land) was released in 2014. 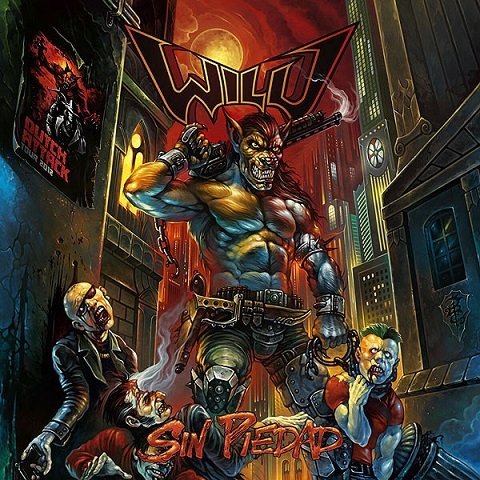 In early 2018, WILD self-released their 3rd album "Sin Piedad" on a very limited pressing for their nearest fans until Fighter Records offered them to release the album with worldwide distribution and promotion. This work is an astonishing masterpiece of pure Heavy Metal the classic 80's/90's way with awesome riffing, great solos, outstanding vocal performance and a killer priduction! !